Running sunglasses can protect your eyes when you run outdoors. They should be worn in all weather conditions so that you can more clearly see the road ahead. They can also make your run significantly more enjoyable and enhance your vision so you can see the trail like never before. 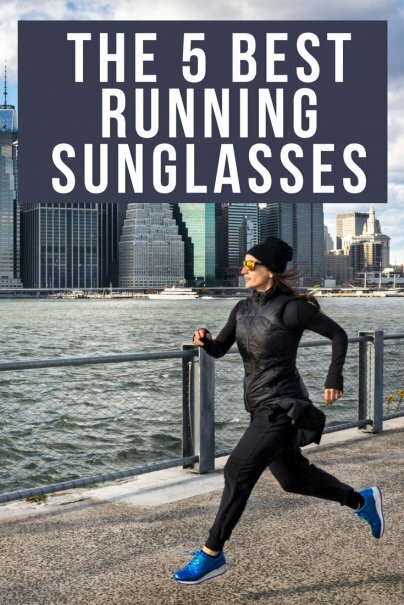 Running sunglasses are designed to stay in place so that you can exercise without worrying about them falling off. They offer protection from the sun's harmful rays to help prevent future eye problems and wrinkles from squinting. 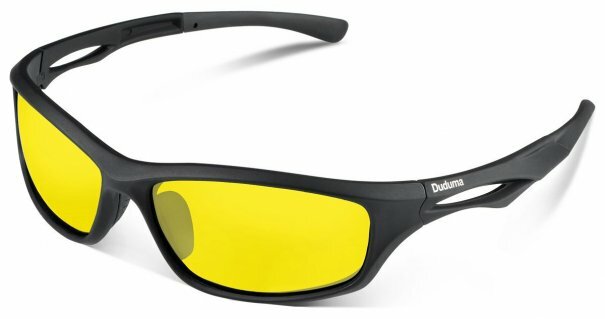 The best thing about the Duduma Polarized Sports Sunglasses is that they're stylish enough to pass for regular sunglasses. They use polycarbonate material and seven layer HD polarized lenses for protection from UVA/UVB rays. This allows them to filter out 99 percent of reflected glare, restore true color, and scatter light. They feature night vision, an adjustable nose pad, and an ultralight, durable TR90 unbreakable frame for the most comfortable fit possible. These are ideal for wearing during any outdoor sports activity. They come with a hard case, soft fabric pouch, and cleaning cloth. They are available in a range of colors. They have outstanding online reviews, including more than 4,000 five-star reviews on Amazon. They are also backed by a 30-day money-back guarantee and a lifetime breakage warranty on frames and lenses. The Tifosi Jet Wrap Sunglasses feature anti-slip rubber ear and nose pieces to keep the glasses in place. The shatterproof polycarbonate lenses offer 100 percent UVA/UVB protection, while a glare guard offers extra eye protection. The tough, durable TR90 nylon frame is resistant to chemical damage and lightweight enough to be worn for hours. The sporty design features an open lens design and streamlined shape that is ideal for all types of sports. These are available in a range of colors and are recommended by Heavy.com. Under Armour Igniter 2.0 Sunglasses feature a lightweight, durable titanium frame and rimless design. The impact-resistant polarized lenses eliminate glare for clearer vision and reduced eye fatigue. The three-point grip keeps the sunglasses firmly in place, while an adjustable nose pad offers a customized fit. They feature 100 percent UV protection coating that is also designed to repel water, resist scratches, and block smudges and stains. Each lens offers 20 percent enhanced peripheral vision. These include a case and are available in a range of colors. They are recommended by Heavy.com. 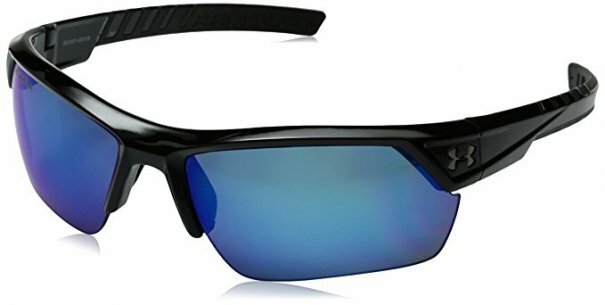 Many reviewers found them to be more comfortable than other running sunglasses they’ve used and found that the world looked like it was in HD with these on. Oakley Men's Radar Shield Sunglasses have a three-point fit that holds lenses in precise alignment to reduce pressure points for a more comfortable fit. They feature non-polarized Iridium lenses and an O-Matter stress-resistant frame for lightweight durability. They have 100 percent UV protection coating and a taller lens for an extended range of view. These include a case and are available in a range of colors. The Oakley Men's Evzero PRIZM Road Sunglasses are another best-selling option from the brand. Julbo Aero Trail-Running Sunglasses are comfortable, fog resistant, and perfectly suited for running. The ultralightweight frame has the new Air Link temple system, 3D fit nosepiece, front and full venting Spectron 3 lens, and a wide field of vision for maximum protection. The sleek design has a panoramic shape and optimized ventilation and air flow. They are available in a range of colors and are recommended by The Wirecutter and Heavy.com. And those are our recommendations for the best running sunglasses. As always, be sure to check Wise Bread's Buying Calendar to learn when and how to buy just about anything!